Samsung Electronics announced today that it will introduce new flat screen 55- and 65-inch QLED TV models, the Q8F, and a 43-inch version of The Frame at IFA 2017. Samsung will also host the QLED and HDR10 (High Dynamic Range) Summit at IFA on September 1 at the Waldorf Astoria Hotel in Berlin, Germany to offer insights into the advancement of quantum dot (QLED) displays as well as developing the full potential of the HDR10/HDR10+ ecosystem. The Q8F is the flat screen counterpart to the previously launched curved screen lineup Q8C. Samsung is expanding its QLED TV line-up in Europe as it seeks to solidify its leading position in the global premium TV market. 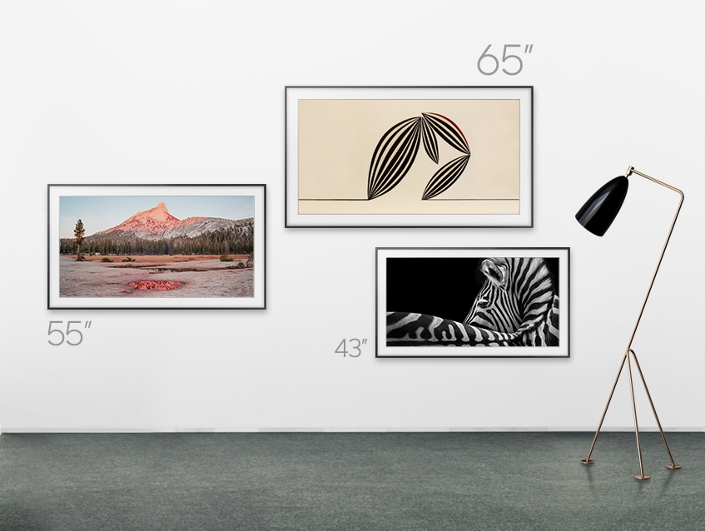 The new 43-inch version of The Frame combines both technology and art to provide consumers with design value that enables them to personalize and elevate smaller living spaces. With the addition of the Q8F models, Samsung’s 2017 QLED TV lineup in Europe has been expanded to 14 models. Samsung’s offering, with the Q9, Q8, and Q7 QLED TV models, represents the most comprehensive line-up of premium TVs ranging from 49 to 88-inches in size and includes eight flat and six curved screen sets. 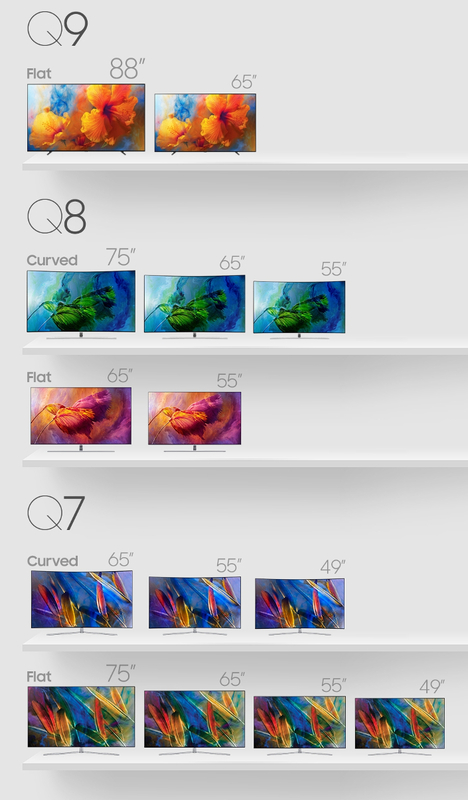 The Q8F models, in particular, are the first flat screen models in Samsung’s QLED TV Q8 line-up. Using metal quantum dot technology, Samsung QLED TVs produce the most accurate colors regardless of scene brightness level. This unique characteristic was verified with a “100 percent Color Volume” by VDE (Verband Deutscher Elektrotechniker), the global standard certificate authority in Germany. The QLED TV’s Invisible Connection, a transparent optical cable that is only 1.8 mm in diameter, eliminates the tangled clutter of cables, and its No Gap Wall-mount allows the television to be mounted flush against a wall and fit seamlessly into various spaces. The new 43-inch model of The Frame completes the lifestyle TV’s lineup, which currently consists of 55- and 65-inch models. Through its Art Mode function, The Frame, in addition to serving as a TV, doubles as a home décor element displaying both works of art as well as personal photographs. Through The Frame’s Art Store, users will soon be able to access about 1,000 prominent art pieces from world famous galleries and museums including the LUMAS, Saatchi Art, Sedition and Prado Museum. The Q8F models will be immediately available following its introduction at IFA, and the 43-inch version of The Frame will be available in Europe starting in October, with the products to be introduced elsewhere on a phased basis. The new Q8F is available at a suggested retail price of EUR 2,599 (55-inch) and EUR 3,599 (65-inch), and the 43-inch The Frame at EUR 1,499. Samsung will demonstrate its QLED and HDR10+ TV technologies at the QLED and HDR10 Summit, which is being co-hosted by display market research publisher Insight Media. HDR10+ provides unprecedented picture quality for displays with brightness, color and contrast automatically optimized for each scene. The Summit will detail how with HDR10+ dynamic tone mapping, every scene is individually enhanced to bring-to-life vibrant visuals and colors that allow viewers to enjoy content just the way the filmmaker or director intended. At the Summit, Samsung will also discuss its new partnership with 20th Century Fox and Panasonic Corporation to create an open, royalty-free dynamic metadata platform for HDR10+. The three companies will form a licensing entity in January 2018 and offer royalty-free metadata to content companies, UHD TV, Blu-ray players/recorders and set-top box manufacturers, as well as SoC (System on Chip) vendors.